Zenimax Online Studios and Bethesda are pleased to announce today that the much awaited Wolfhunter DLC pack for the critically acclaimed The Elder Scrolls Online: Summerset is now live on PC and Mac. 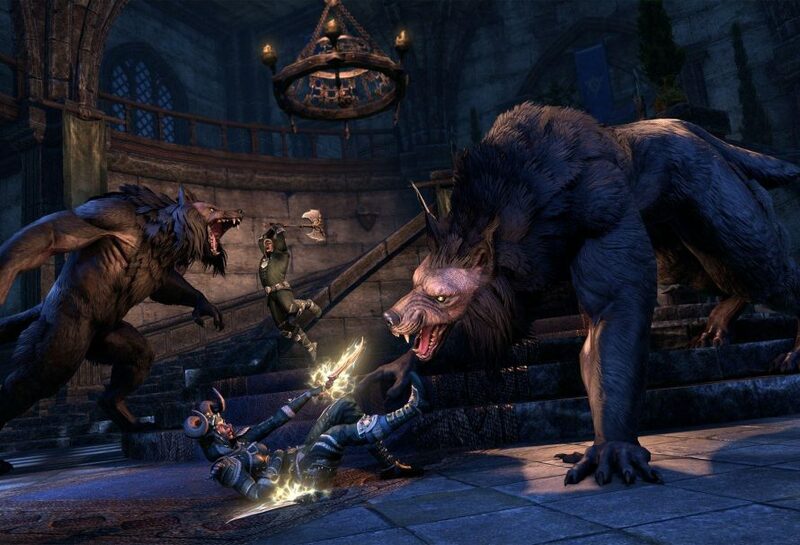 Wolfhunter DLC is the newest game pack for the Elder Scrolls Online: Summerset expansion that provides two new dungeons, a new battleground map, an updated Respect 2.0 system and many more. The new DLC is available free of charge for all ESO Plus members or it can be purchased with crowns from the in-game crown store. In addition, the Update 10 base-game patch is available free of charge for all ESO players. With the two new dungeons available, players will able to venture into an all new dungeons, face monstrous beasts of Hircine and discover new powerful gear and unique collectibles. The very beasts they hunt have overwhelmed the proud Order of the Silver Dawn, and their headquarters known as Moon Hunter Keep has fallen. You and your team must infiltrate the keep, destroy the monsters that now roam its fortifications, and put a stop to the terrible plans of the elder werewolf known as Vykosa. On rare occasion, the Daedric Prince Hircine allows a chosen few mortals to cross into his realm and compete in the Great Hunt. Gather your fellow warriors and prepare to stalk the wilds of the March of Sacrifices. The rewards for victory are great, but be warned: your fellow hunters will do anything to win, including hunting their fellow competitors! Both new dungeons will be available in Normal and Veteran difficulties (in addition to a Veteran Hard Mode option) and come with a host of unique rewards and collectibles including new gear sets, monster masks, skins, mementos, and more. The Elder Scrolls Online: Summerset is available now for PC and Mac. The newest Wolfhunter DLC is currently available only on PC and Mac while the console version will be released two weeks later. Don’t forget that there’s also a Wolfhunter Collector’s Bundle in the Crown Store that costs 4000 Crown Points that features an exclusive Silver Dawn Agent Charger mount, the noble Silver Daenian Werewolff Tracket pet, and five Crown Experience Scrolls. Check the Crown Store for more.